The infamous blistering noise of Wolf Eyes propelled them from being a dank Ann Arbour, Michigan basement sensation to the finest ranks of Sub Pop without ever losing a shred of credibility. 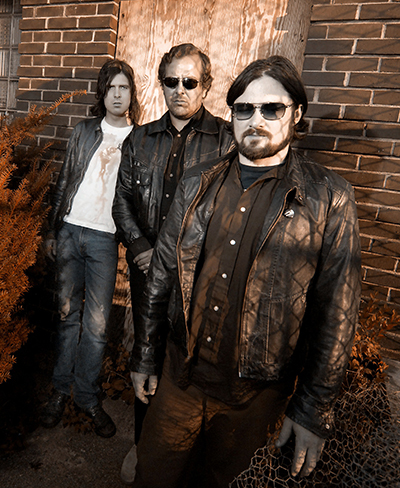 From touring with Sonic Youth and Andrew W.K., Wolf Eyes have crossed borders into popularity which few other such confrontational units of their ilk have been able to and kept straight and narrow on their blazing path. Originally started as the solo project of former Nautical Almanac member Nate Young, he was soon joined by Aaron Dilloway in 1998, John Olson in 2000 then Mike Connenlly and now Crazy Jim. They has released over 150 recordings in their relatively short lifespan. The overwhelming force of Wolf Eyes must be seen to to be believed.